The veteran suicide epidemic is persistent, and growing. Within a five day period from the 6th to the 10th of April, the end result of the nation’s inability to adequately address this problem was on full display. Three veterans took their own lives in a highly visible way, in a very public place: their local Department of Veterans Affairs Clinic. The media, and therefore the country, has started to call these “parking lot suicides;” Veterans taking their own lives on the grounds of VA facilities around the country. Suicide is not a veteran problem, it’s a national problem; it’s also a public health problem. Like other public health problems…motor vehicle accidents, heart disease, food safety, healthcare associated infections…it can be prevented if we take a public health approach to the problem. That means that the responsibility for “solving the problem of veteran suicide” does not belong to any one organization or any single group of people. It means that the responsibility belongs to all of us. The Center for Disease Control has provided a framework based on the public health model that has shown to have an impact on veteran suicides. As you read through this list, you will likely realize that portions of the community are doing each of these things. Why, then, does the problem persist? Because we’re not doing it together. It’s not being coordinated in a mutually supportive manner, and the gaps that exist between these are big enough to drive a bus through…or for a veteran to slip through. Multiple studies show that increasing connectedness and support among veterans significantly reduces suicide. In a 2009 review of military and civilian suicidal behavior, Jeffrey Martin and his colleagues identify social connectedness as one of the significant factors of preventing suicidal action. This makes sense, of course; the more connected we are, the less isolated we feel. When we have people to reach out to, and trust that they’re going to be there, then we’re more likely to do so. One of the unique challenges with veterans, though, is the fact that we go from a highly connected social environment…you can’t get away from other people when you were in the military, even if you wanted to…to being socially disconnected from that population. Add to the fact that many veterans feel disconnected from their community in their post-military life, and the risk for social isolation increases. To learn more about how improving connectedness in the veteran population can reduce the risk of veteran suicide, check out the second post in this series. As my colleague Josh Kreimeyer says, “It’s hard to talk about your inner child when you don’t know where your next meal is coming from.” If a veteran and their family can’t get their basic needs met, then the risk increases exponentially. Unemployment, underemployment, homelessness; each of these are factors in life satisfaction. Helping veterans to get their basic needs met is significant in preventing veteran suicide. You might say, “are you kidding me? With all of the conversations around it, how can we say that there needs to be more awareness?” Regardless of the amount of information out there, the myths around veteran suicide and suicide in general still exist. Such as, “if I mention suicide, it might make them do it” or “there’s nothing I can do to stop it.” There are absolutely ways to intervene; and it’s not the doctor or therapist’s responsibility. 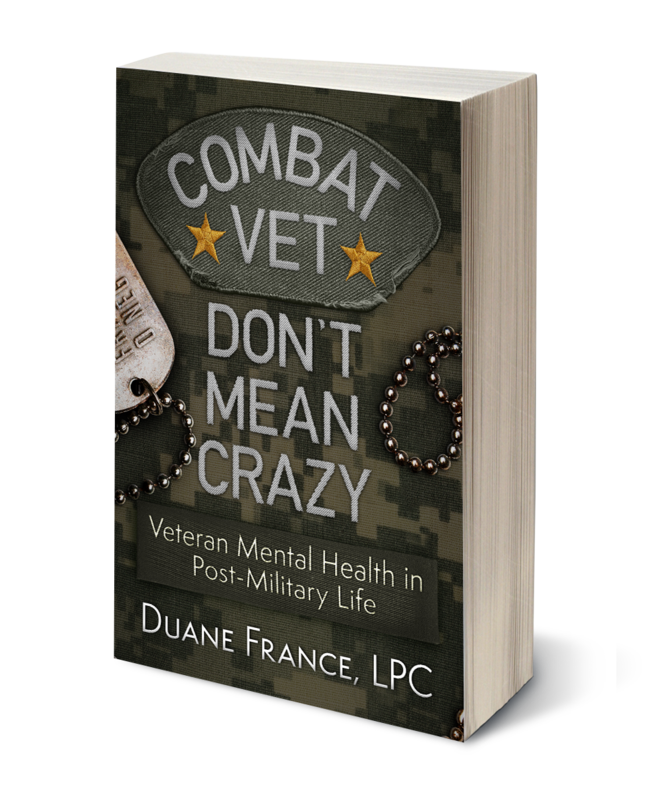 It’s more likely that a veteran contemplating suicide is going to come in contact with someone in the community…a faith leader, friend, colleague…than with a therapist. Learning how to handle these conversations and what to do when the come up is critical. Another aspect of preventing suicide is ensuring that the veteran has access to responsive care. This also includes, for veterans, access to care by someone who understands the unique nature of military culture. This includes care in the community; suicide screening in primary care settings can significantly reduce deaths by suicide. According to an article in 2016, approximately 45% of individuals who took their own life saw a primary care physician within the previous month. For veterans, this also means access to care if there are barriers. The Department of Veterans Affairs has made an effort to provide access to emergency mental health treatment for veterans with bad paper; however, the sheer number of veterans requiring and seeking care means that community providers must be ready to provide the same level of care to those veterans who don’t have access to the VA for whatever reasons. Arguably a touchy subject. After all, veterans are comfortable around guns, and for many of them weapons are a source of enjoyment and comfort. When we talk about lethal means safety, many jump to the conclusion of, “they’re going to take away my guns.” No, the fact is that, if you are in danger, you should take away your guns. Or, more appropriately, recognize when you are in crisis and take steps to restrict your own access to them. It doesn’t mean you have to give up your guns forever; it only means keeping yourself safe. And when discussing lethal means, although many jump to the thought of “guns,” it’s not just about that. It’s about controlling access to any form of lethal means. Prescription medications. Known danger zones for suicidal behavior, such as the Golden Gate Bridge. Knives or razor blades. The last area that we need to address is what happens after there is an attempt or a veteran dies by suicide. Postvention are strategies that exist along a continuum. We look to implement prevention strategies…keeping a veteran from getting to the place where suicide is an option for them. 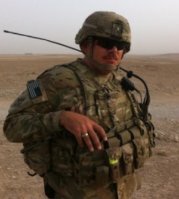 We also focus a lot on intervention strategies, where we attempt to intervene with a veteran who is actively in crisis. Postvention, however, is critical to address future suicide after an attempt that does not result in death. Another aspect of postvention is to prevent more suicides in the immediate social network connected to the veteran who died by suicide. The contagion effect of veteran suicide…in which one suicide in a close network increases the risk of suicide in the other members of that network…is a very real challenge. A study by the National Institute of Health identified that An increase in suicidal behavior by family members is positively associated with suicidal behavior among other members of the family; the same is true for veterans. As you can see, the strategies required to counteract the suicide epidemic are as complicated as the subject of suicide itself. Over the next six weeks, we will be looking at each of these strategies and how different organizations in the veteran space can make an impact. Each of us has a responsibility for the care of our brothers and sisters. No one can impact the veteran suicide epidemic by themselves; we can all do it together. As usual, a great job of describe the scope of the problem and the need for local, person-centered solutions. And, I really appreciate a run-down if the CDC’s Suicide Prevention technical toolkit. As you stated, a public health approach is needed the same way we address heart disease or diabetes. We have to know the warning signs ad have the fortitude to do something whe we see these signs. I call this simple leadership and accountable behavior. The military did a great job with instilling a sense of leadership in all its members and encouraged leadership development. It also instilled teamwork and taught that harnessing teamwork to solve a problem is the hallmark of great leaders. Leaders don’t wait to be asked to help solve problems: they jump in to help. 2) Listen! You asked, so give a chance to hear the answer. If you are not a skilled Crisis counselor, seek help: call 1-800-273-8255, press 1. This is the National Crisis Hotline for Veterans, manned 24/7, 365, by professional crisis counselors with connections to local resources. Don’t have faith in that, call 911 and ask for a Crisis Intervention Specialist. Leadership is not hard, it just takes a willingness to act. Keep up the Fires, Duane!